It’s time to kick-off our 5th Annual Pirate’s Christmas! We have officially begun fundraising for the 5th Annual Pirate’s Christmas event that will be held on Tuesday, December 4, 2018. 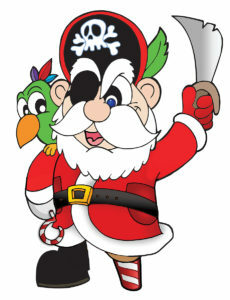 We are excited to take 80-100 children and their chaperones to the Christmas at Pirates Voyage Dinner & Show! We want to thank you for your generous support in years past. We hope we may count on your support again this year. Help us make some special children in our community smile at Christmas! Please view the website link below for additional information and share the site with others who may be interested. Treasure Chest, Gold, and Silver sponsors will be listed on t-shirts and other press information. Tradd Management truly appreciates the caring efforts of our business community. This event is Tradd’s way of giving back to our community and making a positive impact in the lives of others. https://www.traddmanagement.com/wp-content/uploads/new-pirate-D-sm-2.jpg 1200 921 Tradd Mgt /wp-content/uploads/tradd-management-logo-website.png Tradd Mgt2018-07-16 16:31:272019-03-26 16:55:37"Yo-ho-ho, Matey! ~ Hear ye, hear ye!"